The two great leaders of the Civil War, Abraham Lincoln and Jefferson Davis, were both born in Kentucky, about100 miles apart. 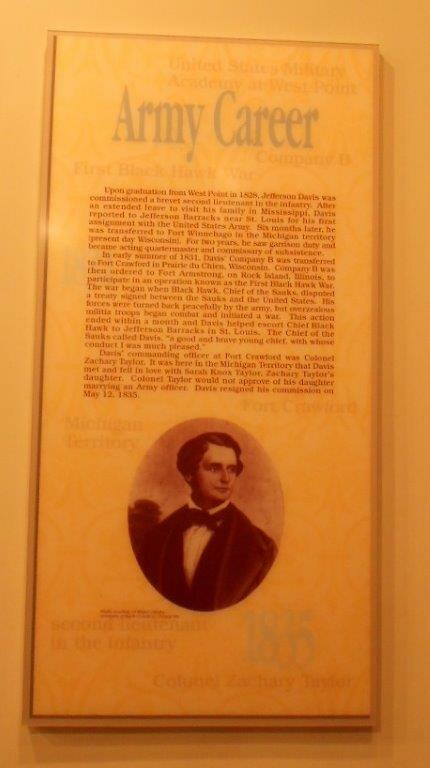 Lincoln's birthplace is now a National Historic Park, while the Davis birthplace is a state historic site. The site is located just off Interstate 24 in southern Kentucky (ten miles east of Hopkinsville in Fairview). It includes the fourth tallest monument in the country; or in terms of world records, the tallest poured in place concrete obelisk in the world (sitting on a foundation of solid Kentucky limestone). World record aside, it is pretty impressive. The small park and visitor's center/museum are interesting enough warrant an excursion off the interstate. The Jefferson Davis Monument at his birthplace in Kentucky. Davis was born in Kentucky in 1808 and raised in Mississippi. He graduated from West Point and served in the Black Hawk War and Mexican War. Davis served in Congress (both the House and Senate, from Mississippi) and served as Secretary of War. Of course, he is best-known for serving as president of the Confederacy. 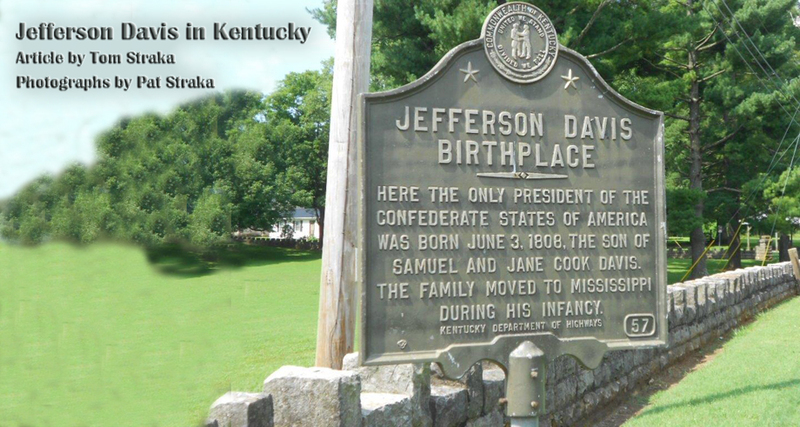 At a 1907 Confederate Orphans Brigade reunion in Glasgow, Kentucky, plans were proposed for a Jefferson Davis memorial to be located at his birthplace. 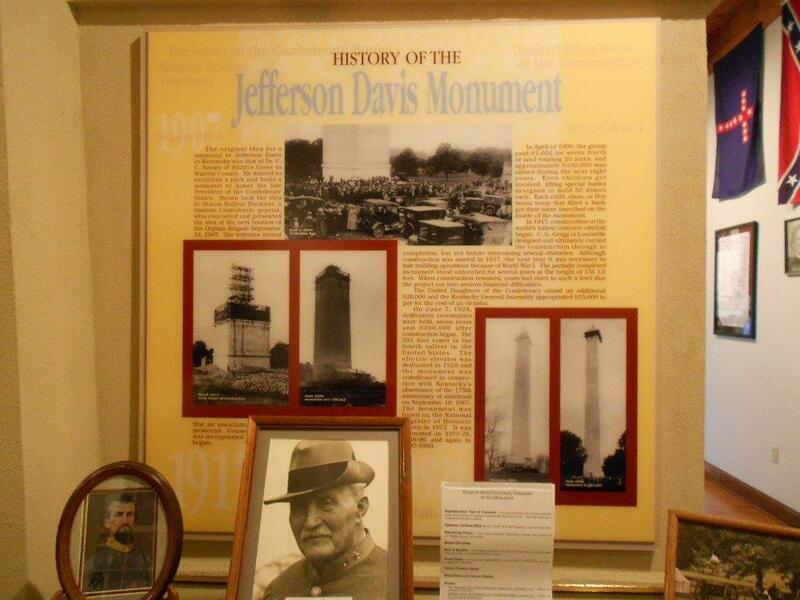 Thus began the Jefferson Davis Home Association to raise money for construction of a monument. 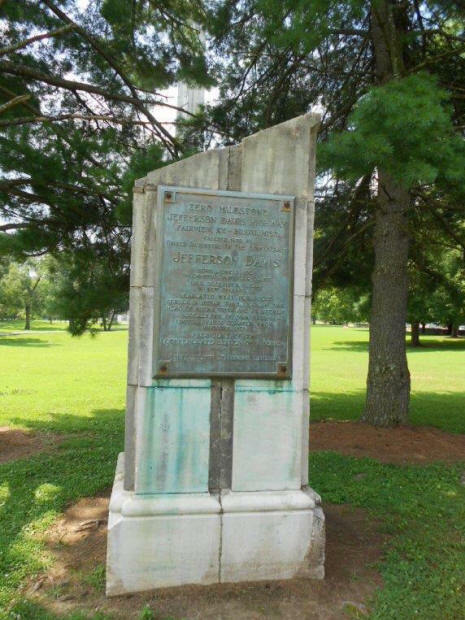 Within two years the Association owned 20 acres of lands in Fairview and by 1917 work began on the monument. The cost was $200,000; the United Daughters of the Confederacy raised $20,000 and the Kentucky General Assembly appropriated $15,000 for installation of an elevator (originally powered by steam). As the memorial is 351-feet tall, the elevator was a good idea. It has a base of 35-feet by 35-feet, with 8.5-foot-thick walls at the bottom that taper to 2.5-foot thick at the top. A view of the entire surrounding countryside is possible from the top. 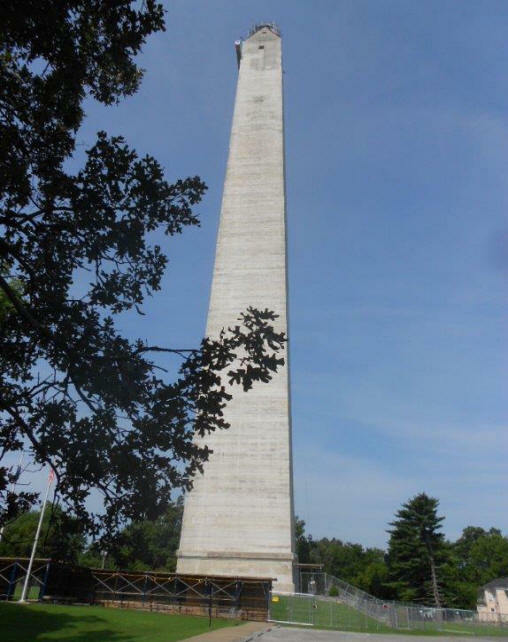 The monument opened as a state historic site in 1924 and became part of the state park system. The museum contains much history that led to construction of the monument. 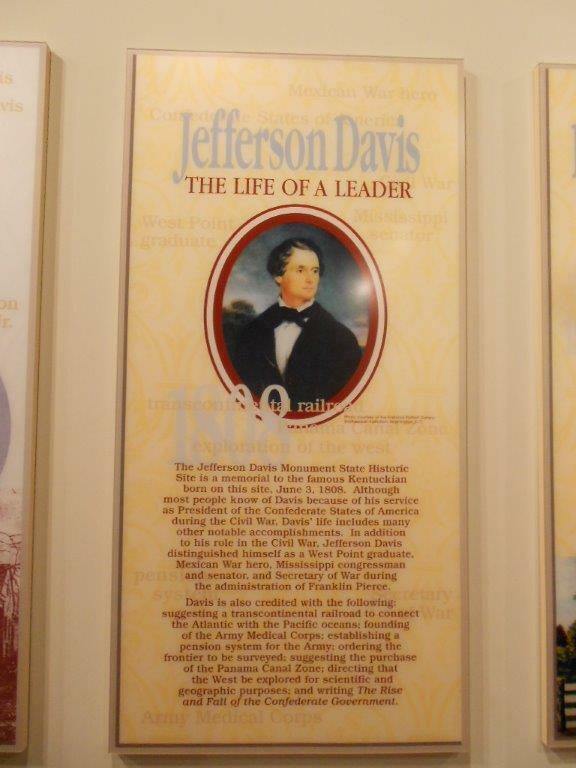 The life story of Jefferson Davis told in the museum, includes his military career and his history as a leader. The Washington Monument is 200 feet taller. The Jefferson Davis Monument was built in the image of the Washington Monument, as what could be more appropriate, both were first presidents of a country No one is allowed inside during lightning storms, as it attracts lightning strikes. 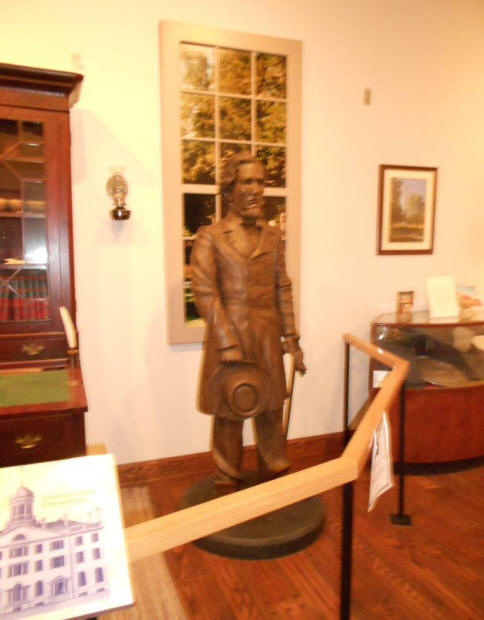 One of many images of Jefferson Davis in the museum. Milepost zero for the Jefferson Davis Highway. The site includes a visitor's center and museum, dedicated to the Confederacy and its president. 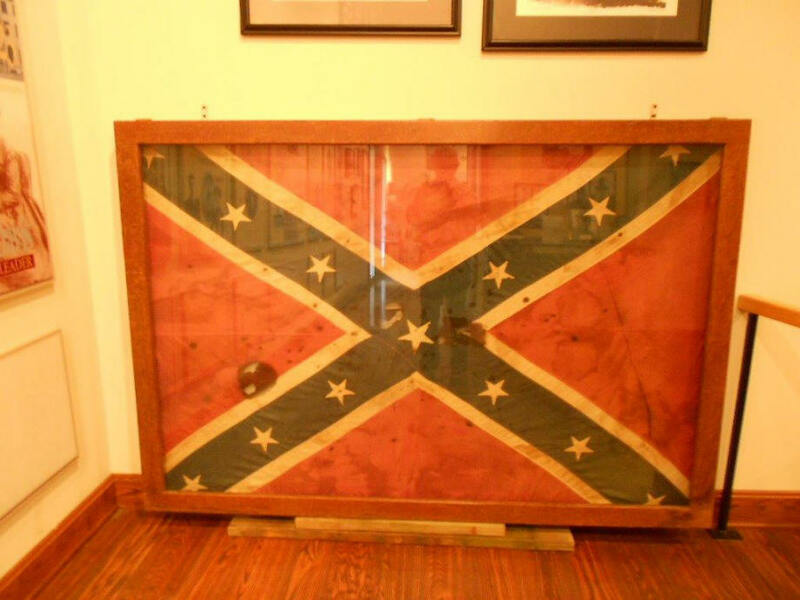 It is full of history and contains a number of Davis and Confederate artifacts. On the site is also the zero milestone of the Jefferson Davis Highway that runs from Fairview, Kentucky to Biloxi, Mississippi (where Davis spent the latter part of his life). When the Lincoln Highway was built coast-to-coast, the Daughters of the Confederacy decided Jefferson Davis also deserved a highway. The milestone sits on the presumed site of the log cabin that Davis was born in. 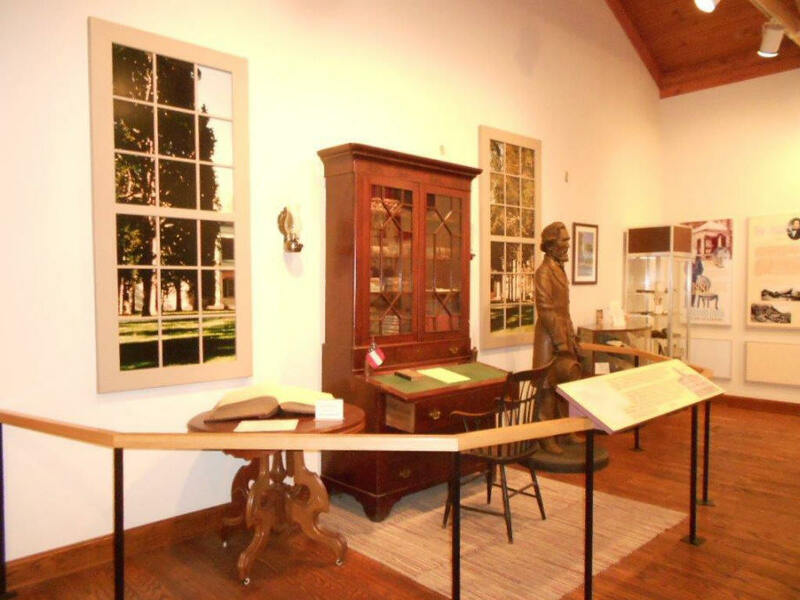 The museum contains many Davis and Confederacy artifacts. Some of the Civil War artifacts are politically incorrect. It is a wonderful stop along the interstate. Not a lot of people have been there. There is much Civil War history in the museum. Plus, you can't miss it if you're close; you can see it from five miles away. Courier-Journal [Louisville, KY] – Jefferson Davis memorial: Confederate or history?